Sondra Blanchard is artistic director of the award-winning Public Works Theatre Company, based in Lafayette, CO. She has been performing, teaching, and making new theatre for 30 years. She is a graduate of UC Santa Cruz, the Dell’Arte International School of Physical Theatre, and holds an MFA in Theatre: Contemporary Performance from Naropa University. Sondra has worked in regional theatre, toured nationally and worked internationally as a choreographer and acting coach. 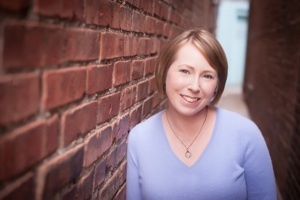 Locally, Sondra has performed with Band of Toughs, the Catamounts, Zen Cabaret, Theatre V, and at the Civic Theatre. She has taught at CU Boulder, the Arvada Center, Rocky Mountain Theatre for Kids, The Art Underground, Arts Hub, Mountain Vista High School, Community College of Aurora, and was adjunct faculty at Naropa University and UNC Greeley. Sondra was a Fulbright Fellow – Greece in 2014, teaching collaborative playwriting at Aristotle University. Please visit her Website at www.publicworkstheatre.com. The Viewpoints is a technique of improvisation that grew out of the post-modern dance world. Originated by Mary Overlie, it has been adapted by Anne Bogart and the SITI Company for actors. In the Viewpoints, the dominant issues performers deal with-time and space-are broken down into nine categories. The Viewpoints allows a group of actors to function together spontaneously and intuitively and to generate dynamic theatrical work quickly. In this workshop we'll get on our feet to explore the nine categories in an embodied, playful way!